The Nesvick Trading Group, LLC's Morning News is compiled early each morning by the experienced staff of the Nesvick Trading Group in Germantown, Tennessee. This two-page newsletter gives you an early morning look at the commodity markets. It briefly covers the grain, livestock, financials, energies and New York softs markets. There is also coverage of the U.S. and world weather and other miscellaneous items. This newsletter is designed to help give our clients a knowledgeable outlook of the markets to begin their day and is in their hands by about 7:00 a.m. CT.
> To view a sample copy of the "Morning News*, Click Here . 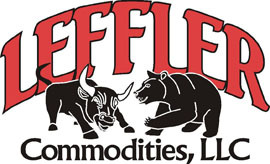 The Closing Bell is written by Leffler Commodities and is emailed every afternoon around 5:00 p.m. CT, the Good Lord willing and the creek don’t rise. The newsletter is usually 5 to 6 pages in length and covers mainly the cattle, corn, wheat and soybean complex, with occasional comments on other markets. Every issue has the closing prices, technical and fundamental information on the cattle, grains and soy complex. The Friday issue contains a comparison of the closing prices for selected contracts to the previous week and year ago price levels. > To view a sample copy of "The Closing Bell*, Click Here . Zenger Comments is written by Rex Zenger and is emailed most afternoon's around 6:00 p.m. CT Monday - Thursday, to the clients of Leffler Ag Consulting, LLC, plus on Friday The Farmer's Advocate. The newsletters are usually 3 to 6 pages in length and cover mainly the corn, wheat and soybean complex, with occasional comments on the outside markets that affect the ag markets. These newsletters are to help inform producers about the day's markets action and provide current information to help make wise marketing decisions. > To view a sample copy of "Zenger Comments*, Click Here . > To view a sample copy of "The Farmer's Advocate *, Click Here .